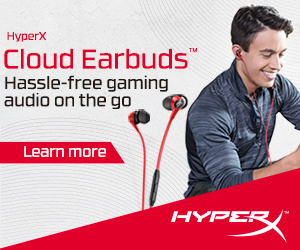 Palit Microsystems is one of the most popular graphics card brands in the Philippines, providing the latest graphics cards from NVIDIA at a more affordable price. 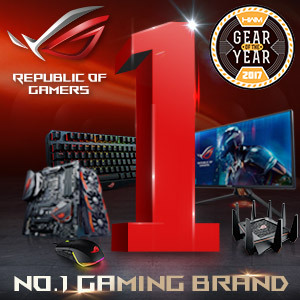 The company has several product lines under their wing including its JetStream, GameRock, StormX, and Dual series, among others. 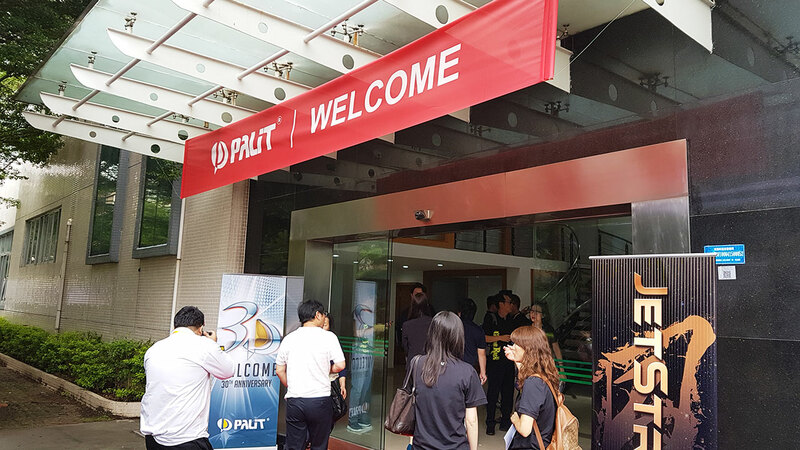 The Taiwan-based business has been operating since 1988 and to celebrate the brand’s 30th anniversary, the company invited members of the media as well as several of its partners to tour the brand’s production lines in Shenzhen, China. 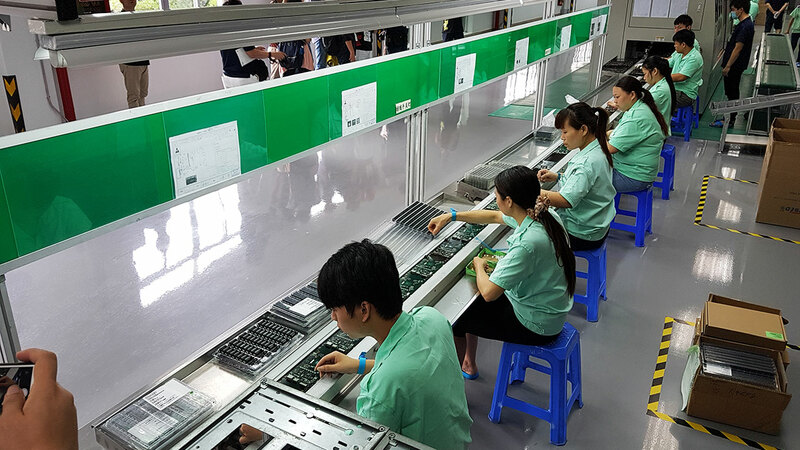 During the tour, we visited two of the company’s factories in Shenzhen. The first factory, Pilot Electronics, was a humongous building that was actually pretty simple and discreet-looking from the outside. Not only does it house Palit’s production lines for its own products but it also manufacturers other components for other brands. 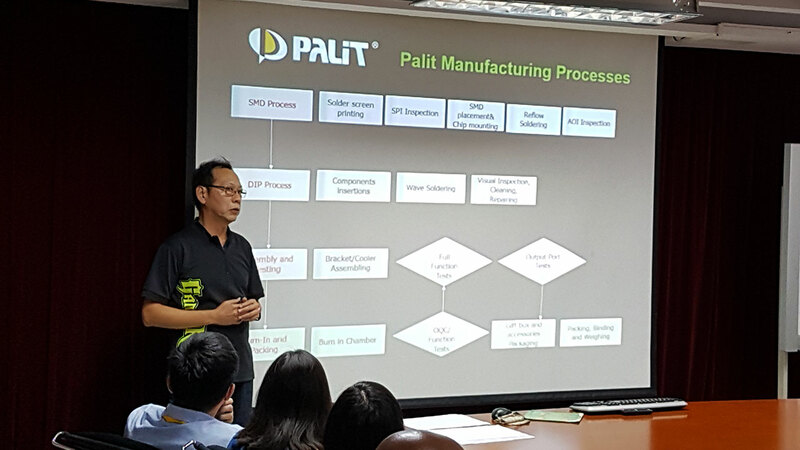 We were first given a short presentation on Palit’s manufacturing processes which includes its SMD process, DIP process, assembly and testing, as well as burn-in and packaging. 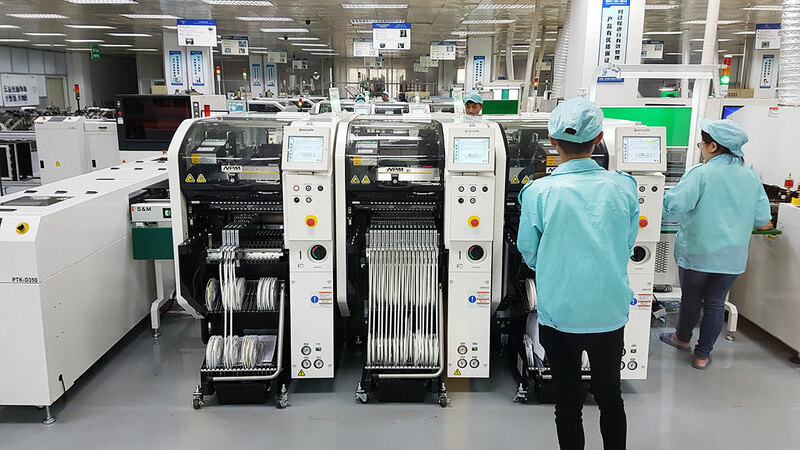 We also got an introduction into some of the machines the company uses in its SMT lines such as its solder paste printing machines, high-speed and multi-functional mounting modules, reflow ovens, and more. We then got to see the factory floor and the actual manufacturing lines from an observation deck above the floor where we could see many of the machines that were introduced to us during the briefing. The factory floor was pretty vast and filled with machines from end to end. There were also a lot of people doing different tasks such as manning the machines in the production line. The second factory we visited, Tai-Hui Electronics, was only a few minutes away. 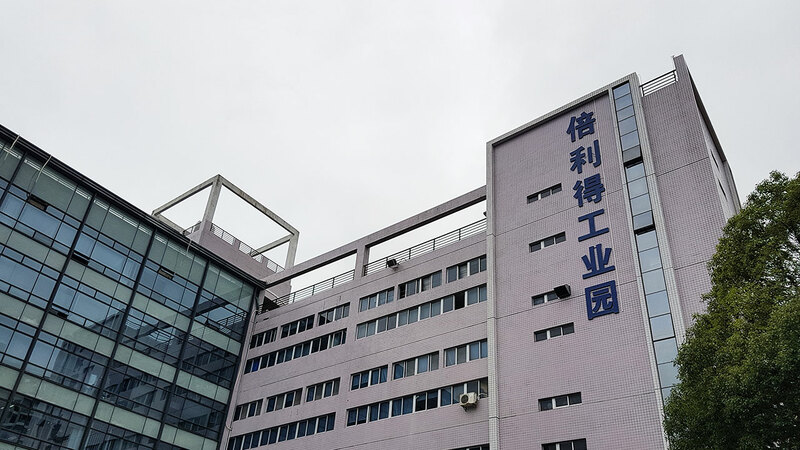 Tai-Hui Electronics is Palit’s newest factory where most of its graphics card manufacturing is held. The lobby had a display of the company’s different graphics cards throughout the years, which was quite a nostalgic sight as some familiar card were on display. As previously mentioned, Palit has been making graphics cards since the late ‘80s so it wasn’t a surprise to see graphics cards models all the way back from 1990 and all the way up to the 10-series models from Nvidia. 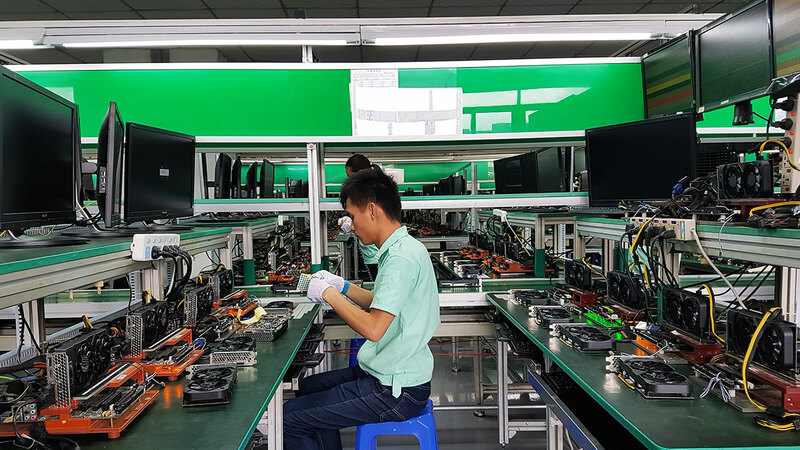 We then got to see one of the final assembly lines in the factory which included the final assembly, cleaning, and inspection of the graphics cards. It was where the ports, heatsinks, and coolers, and more were installed onto the card’s PCB. The line has quite a number of people manning it to ensure that every card is assembled properly and nothing is missed. The cards are then passed through an array of tests, the first of which were visual inspections as well as a range of benchmark tests at the end of the assembly line. The cards are then placed in large crates before moving on to the next step. Other tests include a burn-in test which involves placing the cards in large cases that are then placed in a humongous room with gigantic fans that push air through the entire space. There’s also another test wherein they place in cards in rigs with different configurations inside giant machines that, we assume, simulates specific environments to test how the cards would fair. 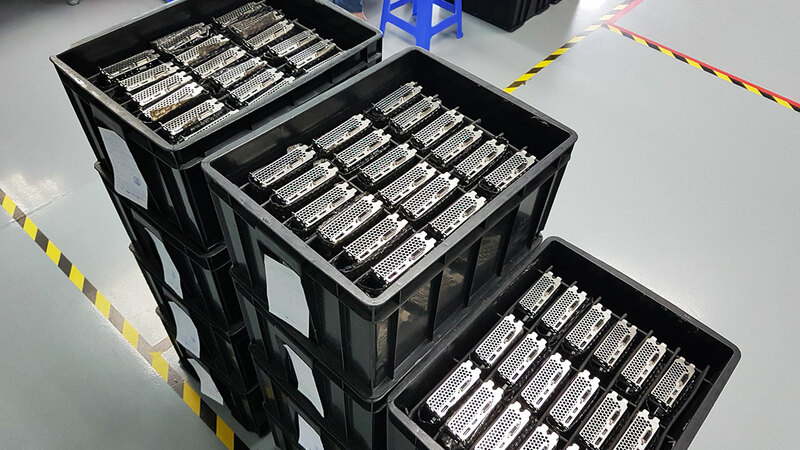 The graphics cards are then sent to packaging where they’re given a final visual inspection and cleaning to make sure nothing is missing before they’re packaged. All the necessary stickers are then applied to either the PCB or the backplate, the stickers may include the card’s serial number, model, and other information. The cards are then packed in antistatic bags which are sealed with a warning sticker before being placed in boxes for weighing and shipping. The individual cards will be packaged in their respective boxes with their accessories elsewhere. 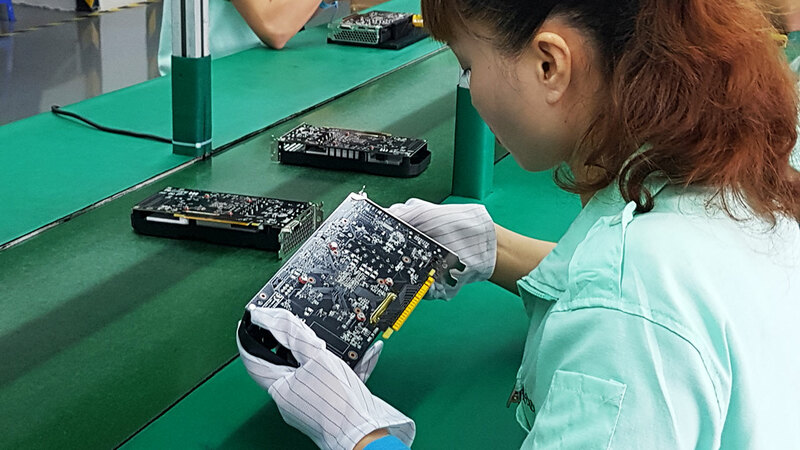 The Tai-Hui Electronics factory is said to be capable of producing three million graphics cards per year. 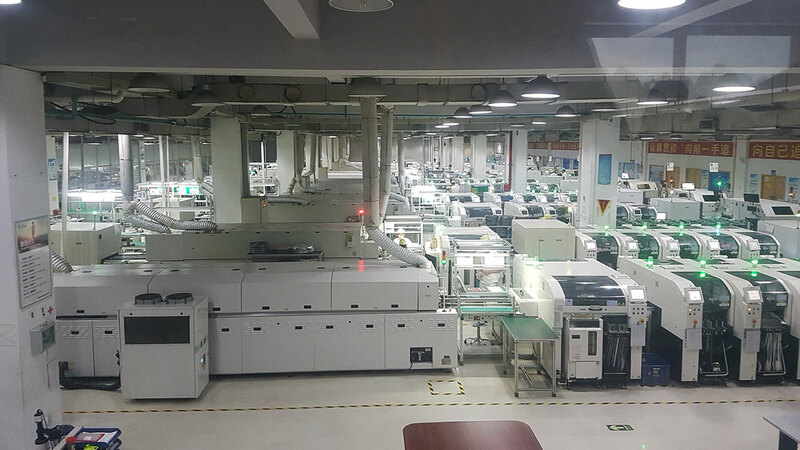 Before the tour ended, we were able to once again take a peek at the factory floor where the bulk of the company’s graphics card production lines are. This time, we were table to take a closer look at some of the machines to see them at work, including one of the Solder Paste Printing Machines and a few High-Speed Mounting Modules. 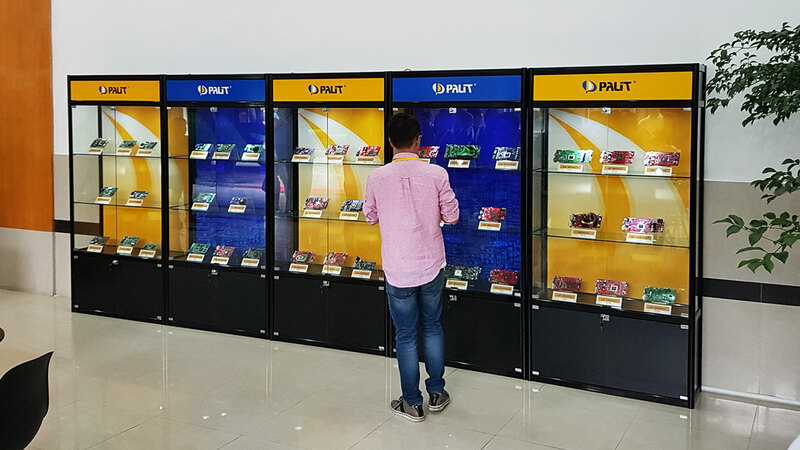 Getting to see Palit’s production lines was a once in a lifetime, eye-opening experience for us and it was great to see how some of the video cards, that are so crucial to our gaming hobby, are made. 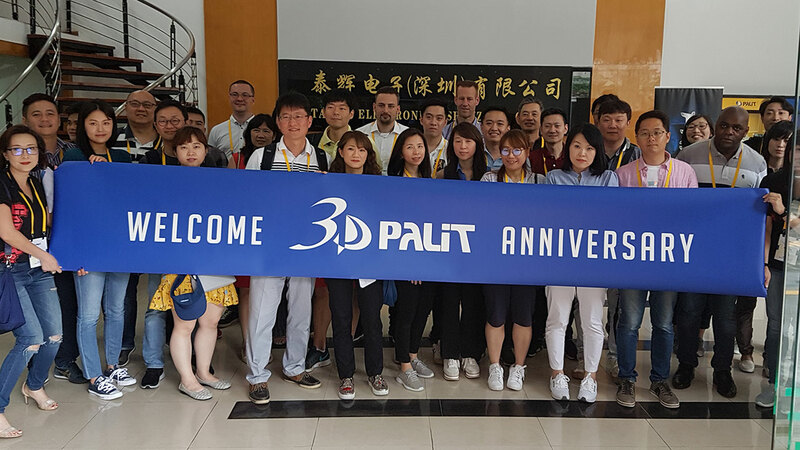 We’d like to thank Palit for inviting us to visit their factories in Shenzhen and congratulate them on their 30th anniversary. You can check out the company’s latest products on their website at www.palit.com.